Australian rock band Gold Fields have been slowly gaining popularity outside their home country this year, and now as the group prepares to unleash their debut album we think it’s time everyone paid more attention. 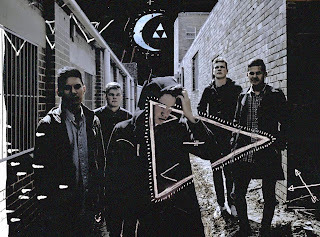 The group, formed of singer Mark Robert Fuller, guitarist/singer Vin Andanar, bassist Luke Peldys, keyboardist/percussionist Rob Clifton and drummer Ryan D’Sylva, hail from Ballarat, Australia and have spent significant time touring around the country. It’s only been in 2012, though, that Gold Fields have begun performing in the States, first supporting their debut EP, which came out in March via Astralwerks. Since then the band has been hard at work on their debut album, Black Sun, which is due for release in January 2013.